Viknesh Vijayenthiran November 16, 2018 Comment Now! 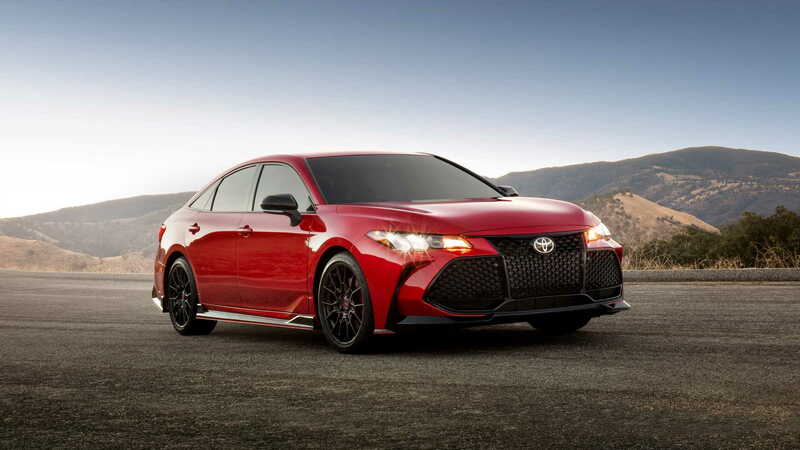 Toyota will use the upcoming 2018 Los Angeles auto show to introduce new TRD versions of its Camry and Avalon sedans. TRD, an acronym for Toyota Racing Development, is an established performance sub-brand that already offers enhancements for Toyota's pickup trucks and 86 sports car. Now we can add the Camry and Avalon to the list. Before all you Toyota fans get too excited, note that the enhancements are on the mild side. The highlight are the reinforcements made to the chassis and new shock absorbers that together provide superior handling qualities. 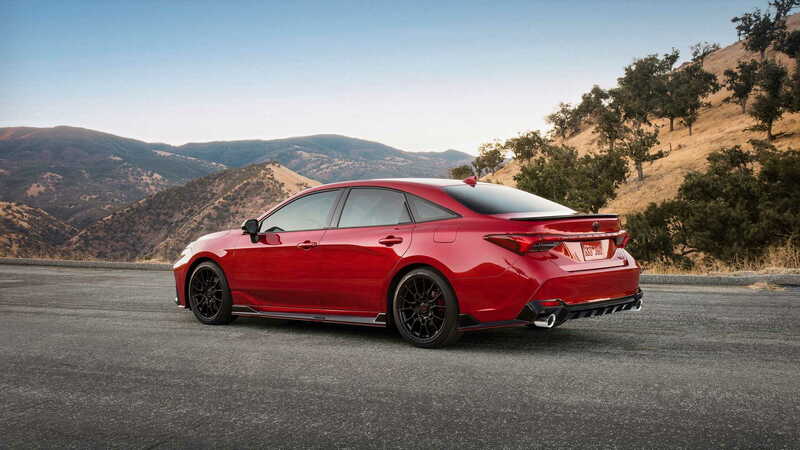 Both TRD specials are powered by a stock 3.5-liter V-6 generating 301 horsepower and benefiting from a cat-back exhaust system that delivers a throatier soundtrack. An eight-speed, paddle-shifted automatic is standard and drive is to the front wheels only. For the handling, there are thicker underbody braces to increase torsional rigidity and unique coil springs lower both vehicles by 0.6 inches for a reduced center of gravity. Specially tuned shock absorbers and 19-inch matte black alloy wheels complete a suspension package that improves body control, handling agility, and steering precision. Bigger brakes also provide better stopping power. 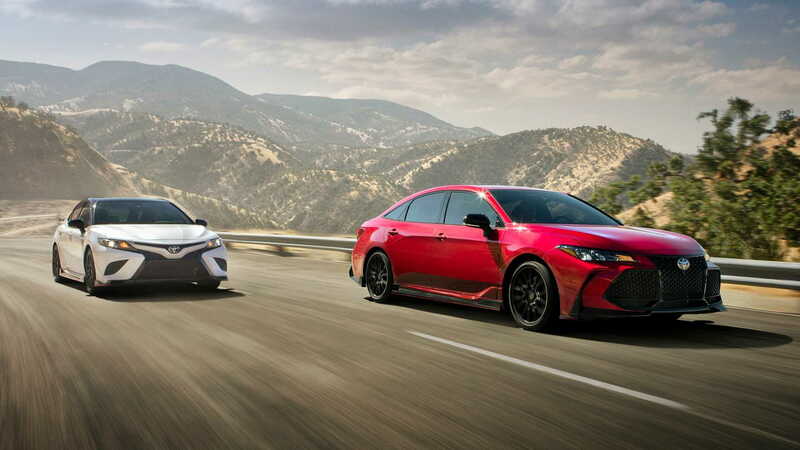 Both cars also benefit from aggressive aero kits on the outside and a few TRD touches inside. We're talking a sports steering wheel, red stitching, and multiple TRD logos. 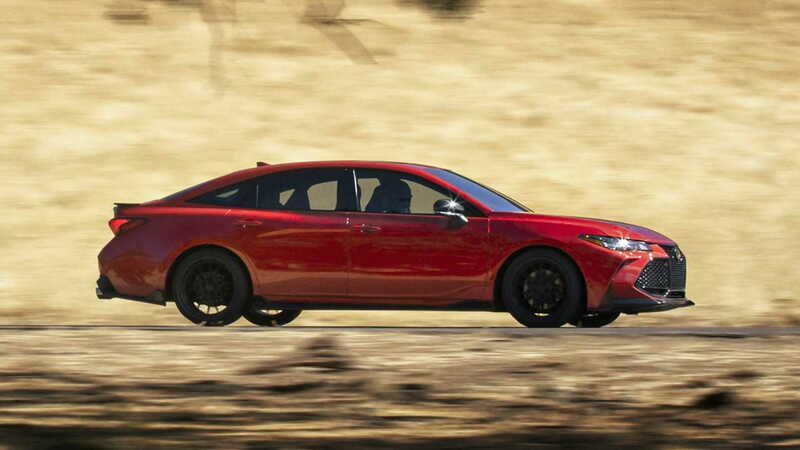 The Camry and Avalon TRD sedans will be on sale in the fall of 2019. They arrive as 2020 models. 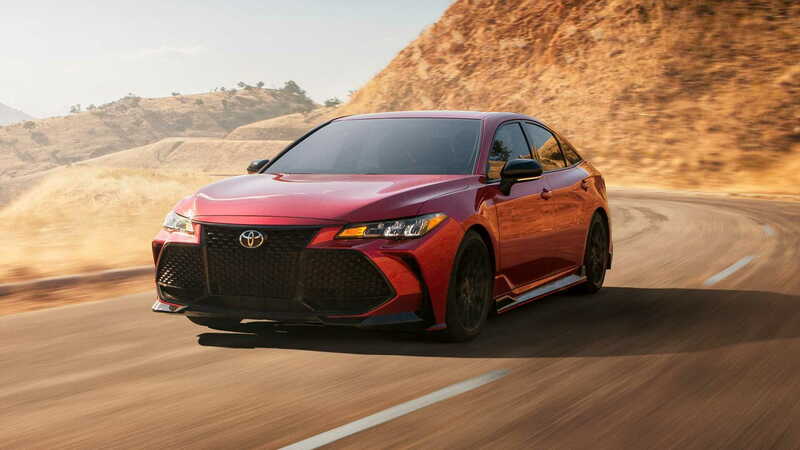 While Toyota has just launched the new GR performance sub-brand overseas, the automaker is expected to stick with the more familiar TRD in the United States. The good news is that TRD-enhanced Toyotas are expected to feature the same upgrades as their GR counterparts. The L.A. auto show starts November 28. Toyota will also use the show to introduce the 2020 Corolla sedan. To learn about some of the other vehicles set to appear, head to our dedicated hub.